This is another book that had the perfect ending for its setup and plot. 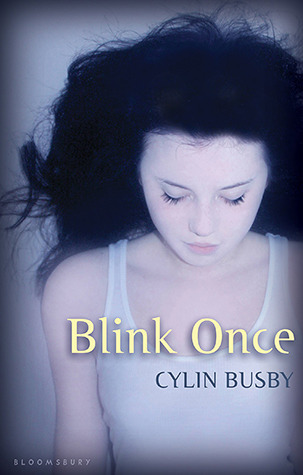 One of the few non-fantasy books to my credit, Blink Once made me wonder how it was going to retain that status, but it did so beautifully (if just the slightest bit speculatively). The author apparently sought out experts in the coma/vegetative state field for empirical evidence, and I just recently read some information on the subject that serves to confirm. Any issues with the novel are annoying, but minimal, mostly centering around the main character West’s best friend who’s written as a stereotypical shallow (re: misogynistic) teenage boy. While this cliche is a bit irritating, it doesn’t take away from the overall excellence of the story. 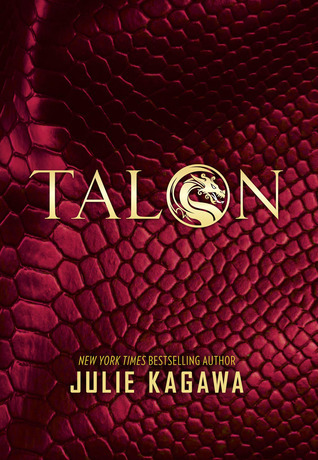 I was surprisingly delighted by this YA novel about dragons who can shapeshift into humans. While it had some of the things about the genre (the YA one, not the dragon shapeshifter one…is that even a genre? If it isn’t, it should be), they made sense in context, and while what occurred with the romantic element was fairly expected, Ember and (wtf is his name?) are such misfits to the roles of both teenager and dragon that their connection with the other is mutually assured. 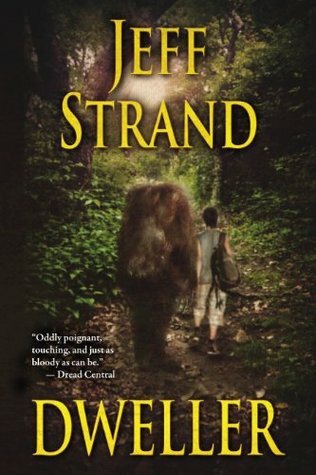 The novel also explores a great deal of deep and moral questions/issues, which places it closer to the quality of my two favorite YA series: Hunger Games and Harry Potter. I’d meant to read the second book in the series Rogue before the end of 2017, but never got to it. I reviewed the first here if you’d like more details on my thoughts. Not even the Shakespeare play I read this year found its way onto my Top list, and while I did enjoy The Winter’s Tale, the melancholic irreverence of Kafka’s stories speaks to the absolute absurdity of humanity and the impersonal cruelty of its systems. The fact that the main character in the titular story worries more about what his boss will say when he doesn’t arrive at work instead of the horror that he’s been turned into a gigantic bug is a disturbing accuracy for modern day (at least in the US). 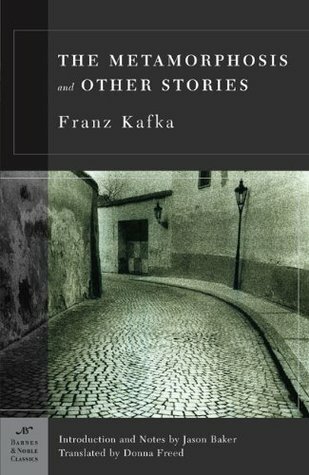 Kafka was ahead of his time, leaving us with a limited number of works the the phrase “Kafkaesque” (which I was lucky enough to have cause to use in my latest, as yet unpublished essay). 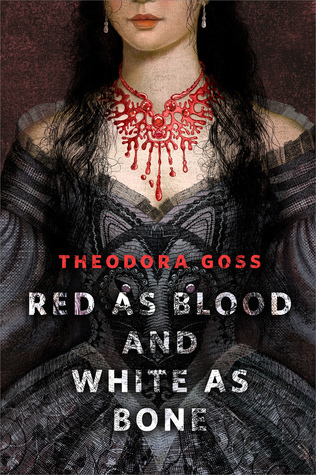 A dark fairy tale that really isn’t…a fairy tale that is; it’s certainly dark, but any magical element is purely up for debate. As a retelling of Cinderella where the titular heroine isn’t the main character, but merely a bystander (a motif that can work if done properly and not the Final Fantasy XII way), she acts to filter the unreliable narration of the “princess’s” story. If you are expecting a happy ending, you will be disappointed, but the presented shadows are more than worth it. 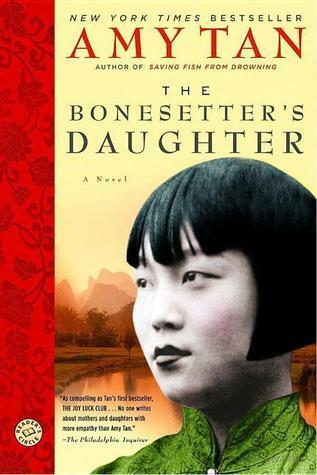 I’ve loved Amy Tan since high school. She frequently writes about the relationship between mothers and daughters, and her language is both poetic and poignant. This one is no different. Some of the complaints about it center around the main character Ruth being “whiny,” which I think is wildly unfair. 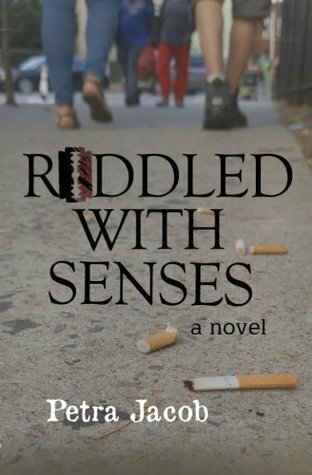 She’s trying to juggle family life, which includes her live in boyfriend and his two daughters from his first marriage, her demanding, dementia onset mother, and her job as a ghostwriter. The latter has purposeful symbolic parallels with her mother’s background and Ruth’s family history. I mistakenly thought I hadn’t read this before, but as I continued along, certain scenes seemed familiar, but if I’m going to reread something by accident, I’m glad it was a novel worthy of my time. I actually almost declared this one DNF, but here it is in my Top 20 list. It defied my expectations for what I thought Yarvi’s story would be and became something much more. When your people are the equivalent of George R. R. Martin’s Ironborn, being “half a king” (i.e. only having one good hand) is a disgrace to your kind. The abelism and discrimination presented in the story would make even the most stalwart cringe, and even Yarvi’s mother treats him as a joke. What impressed me the most was how he struggled to find a place in a world were toxic masculinity is lauded, yet still remain himself. 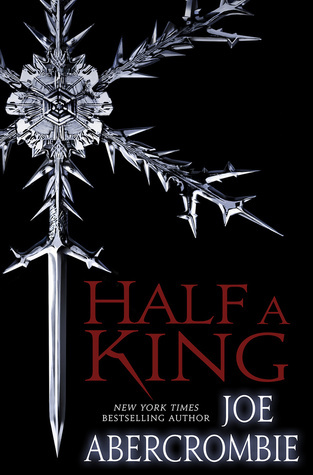 Though I was a bit disappointed the next book in the Shattered Sea series, Half the World, isn’t about Yarvi. upon later reflection, his story was successfully concluded, and World’s main character is a young woman trying to navigate the landmines of misogyny. 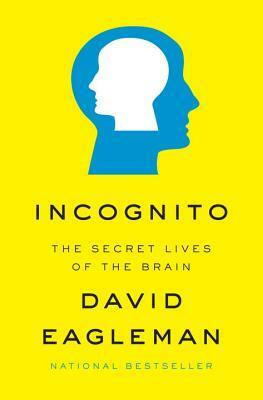 This is one of those books with a quiet tone that resonates loud. It is an excellent narrative for how different people deal with grief and loss, which interests me not only because it’s a similar paradigm in nearly all of the Final Fantasies. Mac inherited the responsibilities of the Archive from Da (her grandfather) at a much younger age than most Keepers, the Archive being where those who’ve passed on are stored. Her occupation is punctuated with loneliness as she can never let her parents or friends know how she truly spends her days in addition to temptation as her younger brother Ben is interred in her place of employment. Exploring the halls between this world and the Library, sending lost souls home is a dangerous and secretive business where some of the deepest are withheld even from the Keepers. An acquaintance told me about this book years ago when she discovered I was interested in the Qabalah/Tree of Life/Holy Sephiroth, because that’s Promethea’s vehicle. She’s more of a concept that chooses/takes over a mortal coil, drawing power from the world of the gods or immateria (yeah…really), and there is a dark comparison for this in Final Fantasy VII that I’ll discuss more when I either review the series or tackle it in a comparative essay. 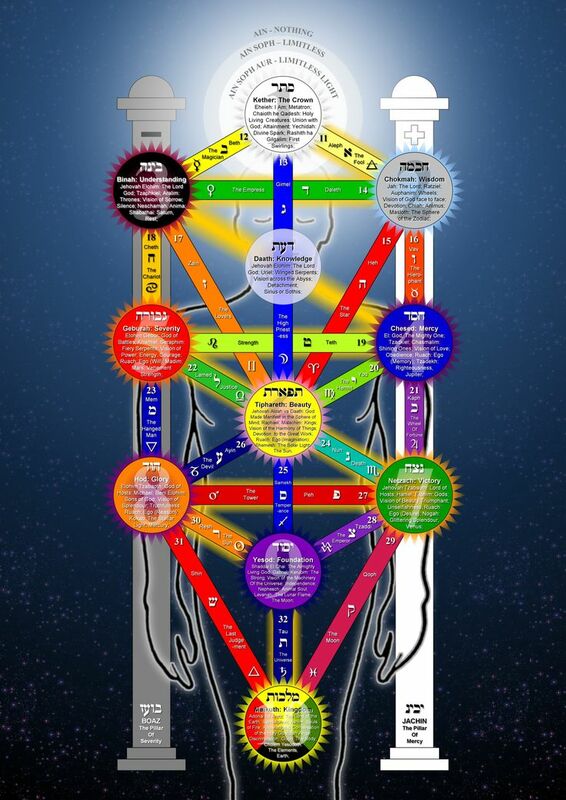 I did not realize that the caduceus was either modeled after or shares the same structure as the Tree of Life. However, looking at the tattoo of it on my arm, I’m ashamed I didn’t realize this sooner. The caduceus is associated with doctors and medicine, so it having a connection to “Life” is appropriate. Final random fact: there’s some kind of connection between the Sephiroth and the Ankh, which I suppose makes sense, as well, since Tree of Life and Key of Life, but it is weird that wherever you find the former, you usually find the latter (e.g. FFVII Sephiroth’s belt in the original game, the spine of Dion Fortune’s Mystical Qabalah, the Tarot of the Sephiroth). I’m probably just not informed enough to realize the obvious connection, but I try not to be ashamed of my ignorance. Back to Moore’s graphic novel though. 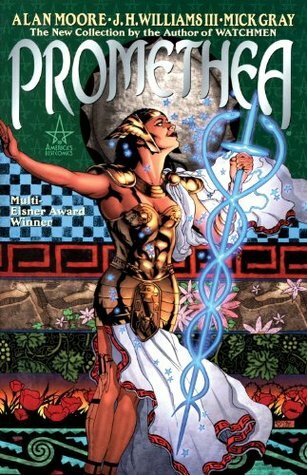 I was impressed that the main characters were women of color, and the one who “becomes” Promethea’s name is Sophie, which means “wisdom” and is probably a reference to Pistis Sophia. I guess it’s impossible for me to talk about this book without getting into the meta/symbolism. The art style is a bit old fashioned, but this is the author of Watchmen and Sin City. It’s definitely not a waste of time. I wrote a review for this here. Mr. Ballagh is in the illustrious list that contains my favorite indie writers. He’s helped spur along my enthusiasm for sci-fi literature, and this is possibly my favorite story of his (though I really enjoyed The Quantum Ghost). 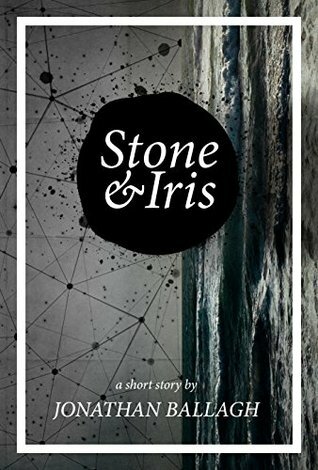 I had to read Stone & Iris twice, because it’s one of those stories where you have to know the end to understand the beginning, and once you do, the end hits you like a Mack truck. I have the distinct pleasure of not only having Ms. Jacob be one of my favorite indie authors, but one of my writer/blogging buddies as well. You can find the review for Riddled here and her blog Inkbiotic here . Her novel is more of a brief episode in the cynicism that punctuates the teenage years to adulthood, but it says so much about those of us on the other side, speaking to my own jadedness, as well. I’m still in the midst of this magnificent manga series, but I can safely say it’s the best manga/graphic novel series I read all year. I love stories that make you question who you should root for. Since Light is presented as the main character, you’re automatically drawn into his situation. Then you realize he has the mentality of a super villain, which is fine for me, but for the rest of you who aren’t reprehensible, it might create conflicting emotions. Despite this, ever time L came close to figuring it out, the part of me that isn’t entirely vile still bit her nails for fear he’d truly see through Light’s facade. I’m currently on Volume 8, and things have mellowed out a bit, but that doesn’t mean they’re not interesting. Once I’m finished with the book, I want to watch the anime. I’ve never read a series before where I initially disliked the first book, but was then turned around after reading the second. Though I’ve been an avid reader my entire life, there’s still plenty of time for firsts. 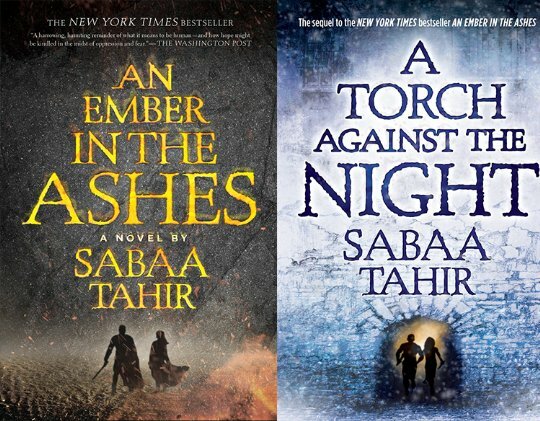 You can see all of my reviews for this series here, but I’ll briefly say that I’m glad Maas made me eat crow on the one for ACOTAR. Speaking of crows (or rather ravens), I’d had this series on my TBR list for a long time, and the instant I downloaded a sample of the first book, there was no going back. I bought it, read it, and just kept going. As soon as I finished one, I purchased and read the next. They’re all reviewed here where you can see my undying love for Blue and her boys. Who is my favorite? I love them all (even Ronan grew on me), but Gansey has that elegance I adore. This was a year of wonderful series and another sample I couldn’t resist buying. I remembering wanting the physical copy of Ember, because I needed to hold it in my hand. There was an integral factor in Elias’s story that completely drew me to the character (and if you’ve read the book and if you know me, you’ll know what it is). Of course this particular part is rife for trolls to mock, because people are assholes 😡 Anyway…I have a review of the first book here, and I’m waiting with bated breath for the third of the quartet. 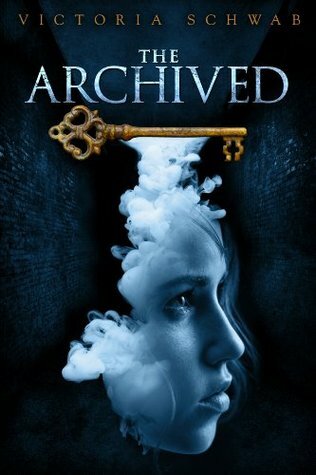 I most certainly was drawn in by the cover, but also by the fact that I’d read another book/series by Grace Draven (which I’ll be talking about soon). She does have a formula, but it’s a good brew. You can never have enough of paranormal romance with healthy relationships, and that seems to be her signature motif. The author is also excellent at painting melancholy males in a good light, as in there’s a definite reason for their despair, nor do they use it as an excuse to be abusive. Even though Nathaniel is the paranormal one of the two, he and Lenore are still on equal footing, and it’s also hard for me to resist any main character/hero who rescues a dog. I have a review up for this one, too, and I’m working on an audio version of the same. 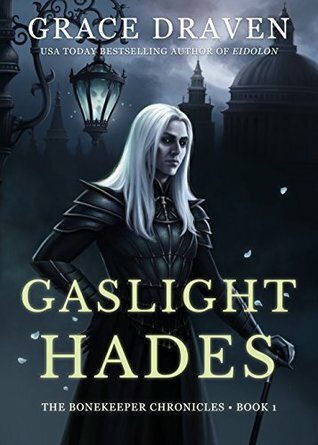 Here’s to hoping her next book in the series Gaslight Viduus comes out sooner rather than later. This was an excruciating choice between 2 and 1, and I’m still not sure, but I’m going to attempt an explanation of how I came to my decision. This is the best book I’ve read all year, and though it’s in a series, I’m not counting it as a series, because the other books aren’t published yet (pleeeease Ms. Taylor, finish the next!). I’m a fan of prosaic writing, the purpler the better, because I’m a purple prose purveyor myself. Sometimes I would reread passages aloud, because the taste of each word was so delicious, even the parts that were bitterly dark. You will love most of the characters and absolutely abhor one by the end. Make no mistake; there is nothing “new” here in terms of storytelling (not that there’s anything new anywhere, though I digress), but it’s so beautifully presented and so well told with a main character you can’t help but love and root for that it hardly matters. I read these two books in just about as many days. Like so many others I bought the first immediately after reading the sample, and, as luck would have it, I’d just finished something on my Kindle so I was able to jump right in. If you are looking for the best example of paranormal romance or rather if you’re looking for the best example of how any relationship should work, look no further than Grace Draven’s Wraith Kings. This is the reason it holds the coveted number 1 spot in my Top 20 Books of 2017. while Strange the Dreamer most certainly has the makings and potential towards the same, it’s not there yet, and since Radiance and Eidolon already did it, I have to give them the gold. Arranged marriages are part and parcel of being nobility/royalty, and the expectation of both bride-to-be Ildiko and readers is that she’ll be forced to consummate a marriage with not only a man she doesn’t know, but one who isn’t even human. It’s awful and repugnant to think about, but it does not go that way at all. Without saying it’s about consent and mutual respect, Wraith Kings is about consent and mutual respect. Though some of the comments seem to deride their relationship as too perfect, I have to disagree, because like all, Ildiko and Brishen have their fights and disagreements, but it’s how they handle hardship that shows the health of their bond. While I did struggle between this and Laini Taylor’s novel, it’s a choice I’m willing to fight for. Reviews for both can be found here, and I eagerly anticipate the final book in the series The Ippos King, which is slated to come out this year. Whew! That’s my Top 20 for 2017 out of the 73 books I read, though I can happily say I enjoyed the majority of the novels I was able to get to with only a few falling onto my duds list. Now that I’ve posted this I can return to the business of catching up on my reviews! Strange was so good, but now I have the long wait for the next book D: The Raven Cycle is complete so it’s “safer” to go for that hehe. No waiting for the next one to be released, and it’s one of the best series I’ve ever read. Whoa! Impressive! I read like 6-ish novels last year. The Hunger Games Trilogy was definitely my favourite. Axe the love stuff (that whole triangle felt so unnecessary to me) and it would be my most favourite book series ever, haha. I’m trying to read 10 books this year. Incognito will definitely be one of them. Yeah, but you were busy learning the deeper ways of your shero and becoming more awesome, so it’s alright 😀 You know…I can usually find some way to give a pass on the love triangle in YA, but I have to agree with you on that. Though I suppose you could say that teenagers are still going to teenage no matter what the circumstances are, but Katniss had NO interest in any romantic relationships. Awesome list! 😀 I was especially glad to see Dweller and Strange the Dreamer on there. 🙂 Here’s to 2018 being another excellent year in reading! 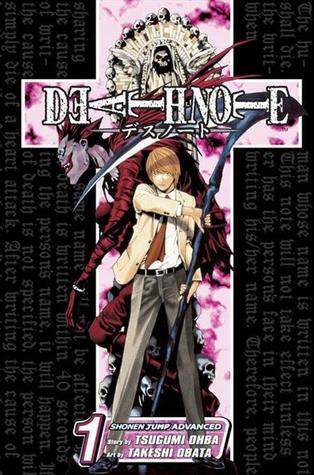 That’s true, graphic novels and comics are a great way to pad your total a bit 🙂 I need to get started reading Death Note… after I’m done reading Claymore, I’m going to start on it! I finished the last volume and now I’ve moved onto Gaiman’s Sandman! Just got the first two from the library. Death Note was REALLY good even though it slowed down a bit in the middle, the ending more than made up for it. I can’t wait to start reading it! It might be a little while, though, because I think Claymore has like 24 volumes or so! Is Claymore a graphic novel series, too?